Our Photo Favorite this week comes from a local Utah photographer named Eric Erlenbusch. This beautiful Photo was taken in Park City, Utah. Our Photo Favorite this week comes from a home we built in Tuhaye, Park City, Utah. This Mountain Home is the perfect location for those who love to ski! In Utah, there are eleven ski resorts just an hour’s drive from the airport. We think this home looks spectacular in the Winter! This is a custom home we just finished in Salt Lake City, Utah. It is located in the Salt Lake Country Club area. We love how these photos turned out. Photos are by Phillip K. Erickson. Home built by Utah Home Builder, Cameo Homes Inc., in Utah. 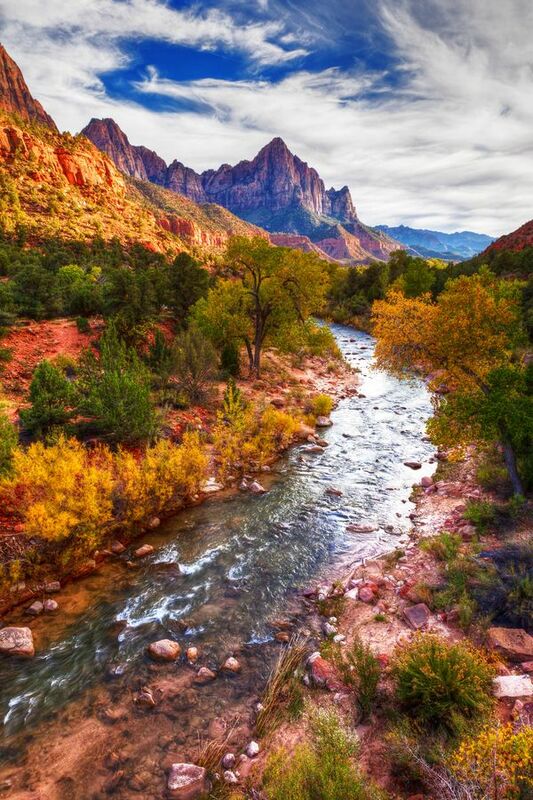 What a beautiful picture of Zion National Park in Utah. The photo was taken by James Phelps, via 500px and it's called Autumn Splendor. Utah is such a beautiful place to live! Utah Home Builder, Cameo Homes Inc.
We built this home in Tuhaye, Park City, Utah and it was featured in the 2013 Park City Showcase of Homes. This particular picture is a fan favorite and has been pinned almost 600 times in the past month. We love it too with the deep wood accents and the perfect colors of blue-greens. This master bathroom is right on trend! We completed building this home last Summer 2013 and wanted to show you the final pictures, they turned out beautiful! This home is located in the Eaglepointe Estates in North Salt Lake, Utah.